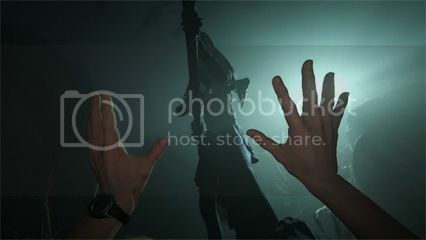 The original Outlast was released in 2014, and was a nerve-shredding experience as you made your way through a monster infested psychiatric hospital called Mount Massive Asylum, with nothing but a battery-hungry camcorder for company. This sequel is set in the Arizona desert, and you play a new protagonist named Blake Langermann (a cameraman and journalist) who, along with his wife Lynn, is investigating the murder of a pregnant woman. The pair get separated after the helicopter they are traveling in crashes, which leaves Blake frantically trying to find his wife through villages that seem to have been taken over by a strange cult who, of course, believe the end of days is at hand. This sequel is set in the same universe as the first game, but the characters and setting are completely different. The story switches between the present day and the past as Blake suffers hallucinations in several short playable flashback sequences. These see Blake as a pupil at a Catholic school with his friend Jessica, and it becomes obvious something very bad has happened. With these two stories playing out in tandem the story goes to some pretty dark and disturbing places, and there’s a definite religious theme throughout. Indeed, the game really ups the ante and goes out of its way to shock you, with various disturbing notes lying around depicting child mutilation and scriptures written by the cult leader Sullivan Knoth, which give you insight into what is going on. Outlast 2 certainly doesn’t hold back, and the developer Red Barrels has obviously been given a larger budget than the first game. This is a lot longer than the original, and the graphics and lighting are also much improved from the first game, which really adds to the foreboding atmosphere. The visuals have been improved greatly. While the original was a game of hide and seek with monsters, the sequel adds a bit more variety to the proceedings. 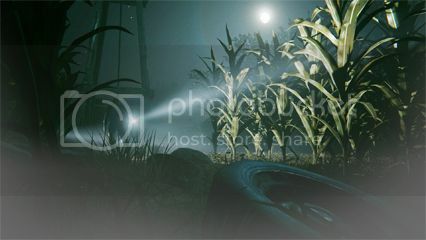 Hiding in the cornfields while a team of religious maniacs are trying to track you down with torches is atmospheric and tense, while another level has you sailing down a river on a raft, like a less family-friendly version of Huckleberry Finn. The game also has some puzzles, such as moving a cart to get over a gate while a crazed woman reciting threatening prayers chases you down; finding a way to disable the power supply to some sparking wires; and moving a projector in a school classroom until you see a disturbing message. They aren’t exactly complex, but they help split up the ‘hide and seek’ gameplay that is the main mechanic of the game. As well as the regular cult members there are larger ‘boss’ characters who relentlessly pursue you around some of the levels, and when they show up the sense of dread is palpable. 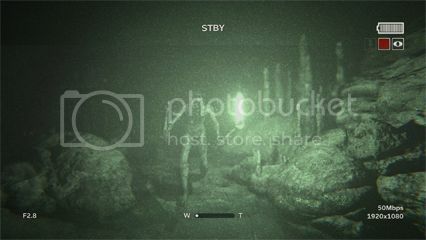 Your camera is once again your best way to survive the horrific goings on, with the night vision being particularly useful for keeping out of the way of the marauding cult members. It also has a sound detector which helps you pinpoint enemy positions, and you can now view previous recordings of areas of interest and hear Blake’s thoughts on the situation. The camera needs a constant supply of batteries which you find dotted around the levels, and you need bandages to patch yourself up after taking any damage. In the original game the camera constantly ran out of batteries, which was a pain, but we only ran out of juice for our camcorder on a couple of occasions in this sequel. One of the problems with the game is that while it’s a lot more open than its predecessor, it’s still quite linear, with many doors being jammed; and at times, when you’re being chased by some bloodthirsty beast, there is no pointer to tell you where you are meant to run to, and several times we got caught up trying to jump over, say a small rock, which left us trapped with enemies bearing down on us. The whole ‘getting repeatedly bludgeoned to death until you stumble across the inflexible route the developers demand you take’ thing gets old fast. Outlast 2 struggles to justify its run time, even though the setting is a lot more varied than the original asylum. You also feel that if you were in Blake’s shoes you’d be ditching the camcorder, picking up the nearest pickaxe that a fallen enemy has left behind, and hacking your way home; but our hero clutches to his camcorder like a kid with a smartphone and carries on filming the grisly scenes of carnage. Outlast 2 is a game with oodles of atmosphere, that only slightly outstays its welcome. The lack of direction on where you are meant to be going can at times get quite frustrating, as you run around blindly trying to figure out where you’re meant to go next. 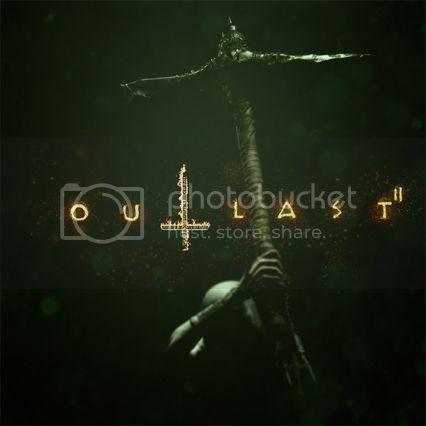 However, any fan of the original will find a lot to like in Outlast 2. Its story is disturbing and dark, and gameplay is a game of hide and seek that is an exhilarating and tense horror thrillride. Just be sure to have plenty of clean underpants handy, as you’ll need them!